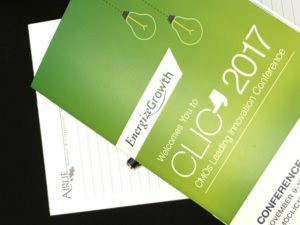 Our 3rd annual CMOs Leading Innovation Conference (CLIC ’17) was a huge success. We focused on helping our participants overcome innovation resistance over the 1 1/2 day confab. 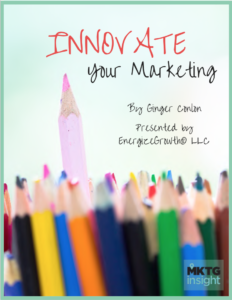 Our media partner from MKTGinsight created a nifty marketing innovation ebook that summarizes each session perfectly. Parkmobile CMO Jeff Perkins recommended that chief marketers think like the CMO of a startup, regardless of their size, in his presentation. He shared seven ways to create that mindset, including building the right team, prioritizing wisely, maximizing resources, optimizing everything, thinking big, being transparent, and being customer-centric enough to create raving fans. Ginger Conlon of MKTGinsight (CLIC ’17 media partner) has created a summary PDF with the speakers and insights shared at CLIC, ’17. 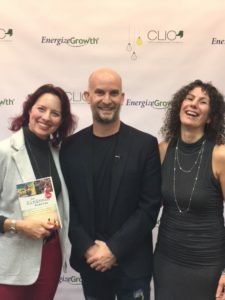 You’ll get the highlights from luminaries such as Netflix star Leon Logothetis, Monique Elliott, personalization guru Tarek Kamil, and others. Download the PDF here to access all this information and more. You’ll be sure find a fresh idea to help you overcome those lingering sources of innovation resistance from 2017.